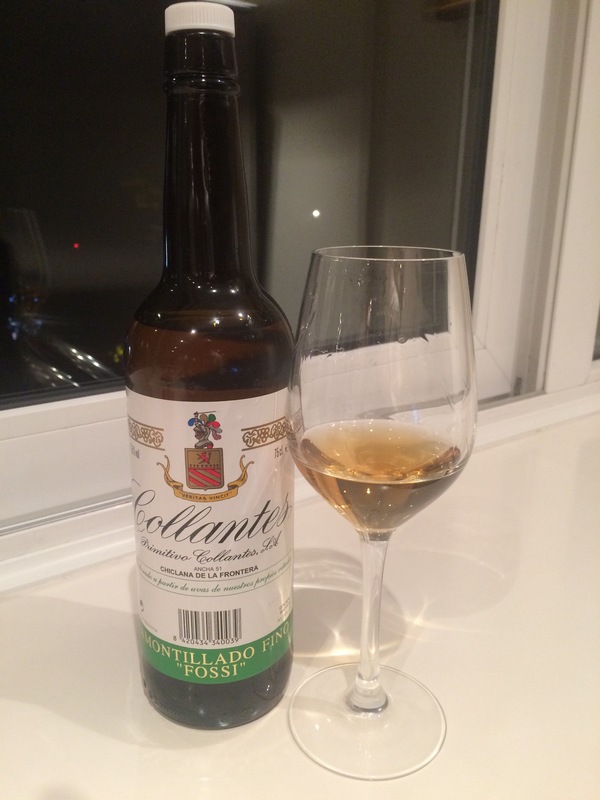 This is a lovely, fruity amontillado fino that was a speculative purchase at Reserva y Cata. An old slightly rusty gold colour, there is a lot of fruit and mosto, and also dried herbs – oregano even – on the nose. In the mouth it has a nice feel – not as fatty as a fino en rama but a soft feel. Nice flavours – caramelized fruit – and then really zingy at the back of the tongue. Nice tipple – disappearing quickly!